Jail authorities in India’s Bareilly central jail (Uttar Pradesh) have come up with a novel idea to reform criminals - service to cows! Now prison inmates will have to regularly bathe, feed and milk cows, considered sacred to Hindus. In Vedic tradition, the cow is not considered a money-making machine but a sacred animal, an entity who softens human passions, elevating humanity to the mode of goodness so that it can lead a peaceful and harmonious life. The cow is considered very sacred in Vedic tradition for very good reason. It's good qualities are those that we can emulate. Serene by temperament, herbivorous by diet, the very appearance of a white cow evokes a sense of piety. Therefore Vedic authorities strictly forbid cow killing. According to jail officials, nine cows have been brought from Punjab at an estimated cost of Rs.200,000. This central jail has 3,000 prisoners and most of them are showing enthusiasm in taking care of the cows. The milk from the cows is being given to frail and sick prisoners. Prison authorities are trying to acquire more cows. In the meantime, prisoners are taking turns to do the go-seva. The results are positive and aggressive prisoners seemed to have ‘cooled down a bit’. Words alone cannot describe the respect and love I have for cows. I have an experience of how cows have facilitated and bridged reconciliation and unity among communities in my village. And this is one of so many other crucial services cows have and are still serving ......so I say ‘Long Live Cows’. Thousands of jails in America, Australia and Europe have in-house slaughterhouses which take care of meat supply to the inmates and even to outside stores. Jails offer different engagement to its inmates but probably the most sought-after jobs are in the slaughterhouses. These jobs are especially popular with violent offenders. And the most sought-after job of all, which one has to fight for, is the job of the slaughterer himself. Here we can cite the example of Ohio prison inmates in USA who boast of working in on-site, blood-splattered slaughterhouse, where in about two days a cow is reduced to hamburger patties. Once the cows have been beheaded, the workers use power saws to split the animals into halves. Farther down the assembly line, they use knives sharp enough to stab through cutting boards to carve meat off the bones of the carcasses. “It really is a unique environment. If you think about it, we’re actually handing the inmates weapons every day,” said Warden Jim Erwin of Pickaway Correctional Institution. Pungent smells and ghastly sights aside, this is highly sought-after work by inmates who must pass a job interview to get the jobs, which pay between 21 cents and $1 an hour. The knives used in the operation are tethered to the tables. Ronnell Guerry, one of the prisoners boasts, “We take pride in this meat, Some of us might not get along, but we have to put our differences aside and work together.” The state has more than 49,000 inmates. The inmates slaughter almost 500 head of cattle and hogs each week. They make sausages, beef and pork patties, cut beef and pork roasts. In Ohio, officials are ‘proudest’ of the efficiency of the meat-processing center, which now doubles as a classroom for a few of the inmates participating in a career center program through Ohio State University’s agriculture department. But the question remains whether violence can reform ones who are already convicted for violent crimes. This training in the ‘art of killing’ can hardly benefit any one. Once out, they just might kill some one with more ease than before. No wonder, since 1960, per capita crime rates have more than tripled, while violent crime rates have nearly quintupled all over the world. In an advanced country like US, Department of Justice estimated that 83 percent of all Americans are victims of violent crime at least once in their lives. About a quarter would be victims of three or more violent crimes. Increasing crime rate means more murders, rapes, robberies, aggravated assaults, burglaries, and auto thefts. At about 50 per 100,000, Washington DC has the highest murder rate in the developed world. Violence is also increasing among teenagers and other youths. Crime is not a function of poverty but the overall moral fabric of the society. 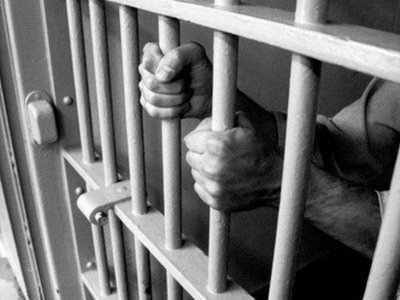 The total number of prisoners in the United States increased from 319,000 in 1980 to 1.3 million in 1999. Another 523,000 people were also in jail. This translates into 1 in every 150 Americans being in prison or jail. The present ratio of the population in prison is more than four times what it was in the mid 1970s. Does it have anything to do with flesh diet and rampant slaughterhouse culture? Which is better, to kill cows or to protect cows, can be gauged from the facts stated above. But it's true if I had to kill them myself I'd be a vegetarian at once. I had to kill a sick wild rabbit once. It was the worst experience of my life. When I was living in Austria, and walking in the mountains regularly, I often saw cows noticing, watching, and seemingly 'commenting on' the many hang-gliders, and paragliders, landing in their fields.